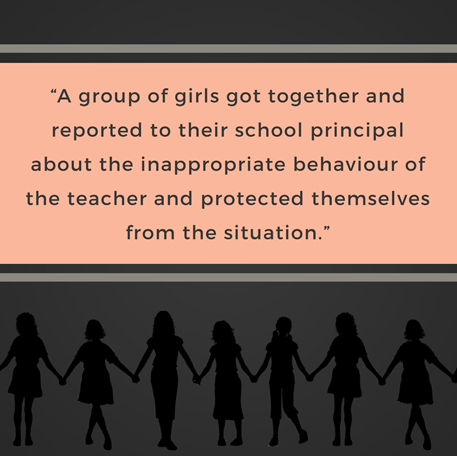 After the implementation of Personal Safety Education, during the individual sessions, a group of girls from grade 8 went to the trainer and said that they wanted to share an incident that had happened two years earlier. They shared that one of their male teachers used to find opportunities to touch and talk to the girls inappropriately. For instance, he would drop a coin and would ask a girl to pick it up and passed comments about her breast. Also, whenever things were lost in the class, this teacher would personally check children and would touch their body inappropriately. 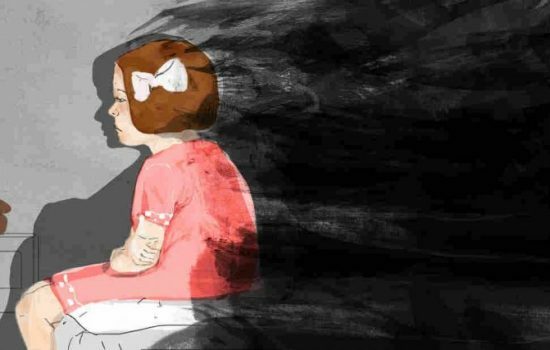 Once after such an incident, a group of girls got together and told the teacher assertively that they would mutually check each other and would not like the teacher checking them. But the teacher refused to listen to them. One of the students from the group informed her mother. The mother immediately complained to the Principal. The principal took the decision to rusticate the teacher. 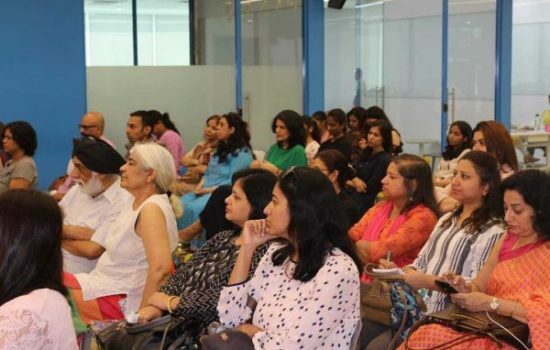 The girls while sharing the incident mentioned that it was because of the Personal Safety programme that was conducted with them in the past that they were able to stand up for themselves and help others in the class. They were confident that they would be able to seek help from their trusted adult in an unsafe situation in the future. Please enter your email address to receive updates on our work.